Apple's MacBook Pro lineup was recently updated with faster processors and more affordable configurations, but choosing the best model for your needs can be a tough decision. AppleInsider brings some clarity to the situation, helping you narrow down your choices. I recently ordered the top of the line 15", coming from the 2008 unibody MacBook. Do you think I will notice a difference? Love my 13”, only thing I’m missing is 2 less lines in a web page. There could be a compelling reason for a 15 if editing pics and video was the main purpose, as a paper pusher, there is no loss with a 13 and much easier to carry around. I have my top of the line 15" right now, and I retired a Mid 2010 15" which was an Edsel in many ways. The difference is huge. I don't do any work that is processor intensive (actually don't do any work at all as I'm retired/lazy), but I keep my MBPs a long time like you do. In order for the computer to remain usable in the long term I max out everything when I buy. This MBP has 1 TB drive, Touch Bar, AMD Radeon Pro 560 in Space Gray. I actually like the keyboard a lot. Somehow I am able to type much faster than I was before. I guess it's the really short key travel. It is a bit noisier, but that's not really an issue for me. The speed of pretty much everything is great - I haven't found anything processor or drive performance related to complain about yet. I have had to turn wifi off and on a couple of times for unknown reasons. Could just be my Google Fiber Network Box - I find it's a bit weird sometimes. Also enjoy the Touch Bar and use it frequently. Love the way it feels and responds. Customizing it has been fun. I have the screen capture button added to it and really like that convenience. I did buy a few dongles and they work well. The Anker USB + Ethernet adapter is great. The Internet speed of this computer on ethernet and Google Fiber is pretty amazing. And BTW nice video AI. Good summation and comparison. PS I bought my new MBP from Adorama with the AI discount. Thanks for that! Just received my MBP a few hours ago, we have the exact same model as I got the 1 TB space gray as well (so I guess technically not the toppest of the line since that would be the 2 TB model). I am a grad student and got the education discount, so got a free pair of beatsx wireless headphones as well, altogether saved about $400 over retail.. on top of that I qualified for Barclay credit so no interest for 24 months.. plus my stipend covers it so why not buy the top of the line? never was able to afford the best Mac you could buy before so I am living it up right now! I freakin' love this keyboard from the first moment I touched it! I never had a lighted keyboard before either and it makes a huge difference. Coming from 13" to 15: screen is a huge luxury, and the retina is incredible. The touch bar is really cool, though, it's a little more fuzzy looking than I expected as far as resolution. How did you get the screen capture down into the touch bar? I use that feature all the time. The trackpad is fantastic, force touch and haptic feedback are very useful and just adds to the overall pristine yet powerful build quality of the machine. Battery life appears to be very good. One gripe is that Apple was cheap to not include the power adaptor extension cable like my previous MacBook, I hate plugging the huge brick into the wall. I don't have many external peripherals so the lack of ports is not an issue for me. I've done video editing in FCP before as a hobby and want to get back into that as I have all of this power that is going unused. I miss the startup chime and hope that Apple allows us to turn that feature back on in the future. Overall, an A-.. but I'd lean more toward an A, so around a 95% is my final judgment. Well worth the expense. I have an early 2011 15", and I was planning to stick with the 15", but man, it's so expensive (since you can't upgrade the thing, I would want the 1TB model.) I would love the portability of the 13", but it's so underpowered when you can get a 15" for a couple hundred more. Maybe the refurbs will be more reasonable, or I guess I'll see what 2018 brings. At least my current Mac still runs pretty well, once I put in an SSD. tyler82 said: How did you get the screen capture down into the touch bar? I use that feature all the time. From any Touch Bar aware app go to the main menu and select View>Customize Touch Bar. A special app will launch with button selections. You drag and drop buttons the same as you would customizing a toolbar. I went from the 17" top of the line (at the time) MacBook Pro to the top of the line 15" MacBook Pro to the top of the line 2017 13" MacBook Pro with TouchBar and I couldn't be happier. It's easy to carry, does everything I need, and does it fast (thank you Kaby Lake). Oh and I forgot to mention that I chose the 15" because I'm old and need a big screen so I can make big text. I don't like wearing reading glasses all the time so Safari's easy text enlargement and pinch zooming help me out a lot. Big screen but light weight makes me happy. For everyone else, or just those that want to use physical keys, I recommend changing the key combination in System Preferences » Keyboard » Shortcuts tab » Screenshots. I Prefer to remove the Shift key requirement from the save as file to Desktop options and the Control key requirement from the save to clipboard options. My changes do not interfere with any other key combinations. Additionally, it may also be beneficial to change the default from PNG to JPEG (or another file format). No, it's a bad advice unless that (another file format) is HEIF. Hahaha.. Because JPEGs are better suited for photographs. PNGs are more suited for screenshots, especially if you are gonna apply photoshops and attach to for YouTube uploads. Just because you know something, doesn't mean that has to be compulsorily applied. That's the thing. Since, HEIF allows lossless compression, I've no complaints with that, not because it's about Apple. However, Apple isn't responsible for HEIF just because they emphasised it. It would be better for you, not making pre-assumptions. Is there a "post" version? 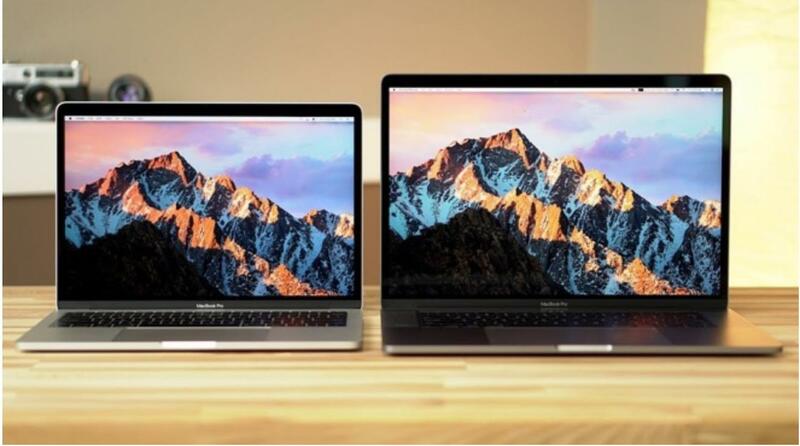 13" vs 15" Macbook Pro; matter of need and portability. But, I will keep emphasizing that Apple needs to expand incoming laptop user base(highschool,college,casual) offering one each(13",15") with decent performance and sweet price spot. For example, 13" 2.4Ghz,8GB,256GB SSD between $1100-$1200. Any upgrades met with higher price tag. Bottom-line, keep attracting,expanding bottom user base feeding into future higher revenue/profit purchases into Apple ecosystem. Worldwide 25% Mac user base is awesome which would continue bringing revenue for future development. 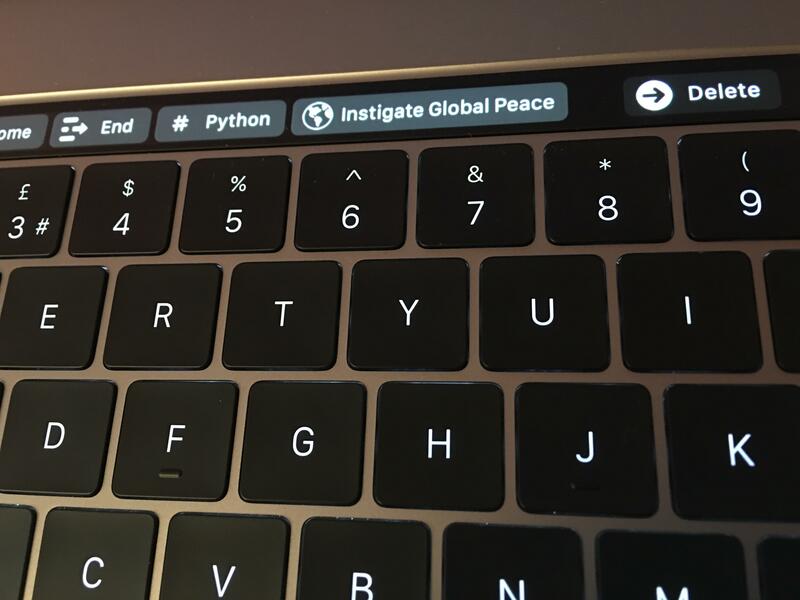 BetterTouchTool is also a pretty app for customising the touch bar. Let's be clear, your saying at image below must be a PNG—and only a PNG—or they're doing it wrong? We usually use screenshots from the final project, but none of the b-roll shots made a decent thumbnail so this is a photo taken after the video was done. PNG images take up a lot more space on storage, and will be compressed on YouTube for a thumbnail anyways. What's going on? My favorite podcast has always been MacBreak Weekly (AI's came along much later), but the hosts keep abandoning Apple products! First Andy Inatkho goes Android and now I learn Leo LaPorte buys Think Pads instead of MacBooks. Fortunately they have people like Rene Ritchie and others who are true Apple fans. What's the right 'next Mac to buy?' ... I'd say whatever you like as long as it has built in H265 encoding/decoding hardware inside.